Moving your blog can be a little traumatic. I know a few bloggers who start perspiring nervously at the mere thought of it. Lets, just for a second, pretend it was easy and that there are tools and plugins that will literally do this for you. How hard can it be … right? Take three deep breaths and lets take a look. In this post we assume that you have already registered your domain and setup your hosting. Your WordPress is installed and you are ready to begin moving your content from your blogspot.com blog. 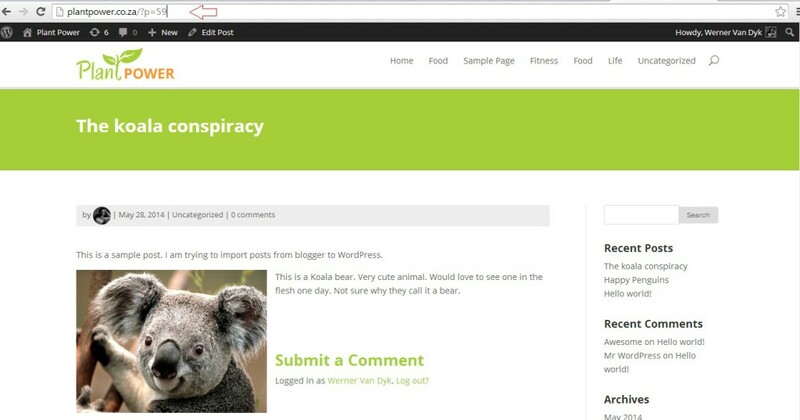 Login to your wordpress blog. Navigate to Tools -> Import. Click on the Blogger option. 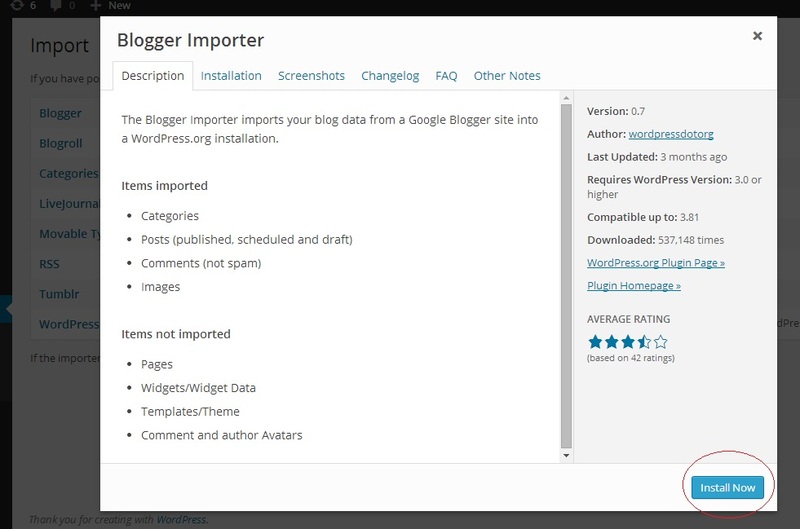 WordPress will automatically attempt to install the blogger importer plugin. Click “Install Now ‘ to complete the process. 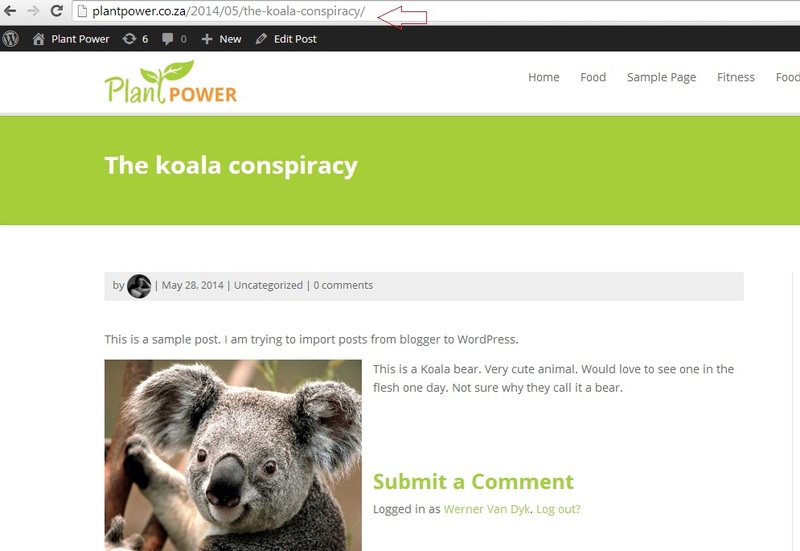 Click the ” Allow access” button to confirm WordPress access to your blogger account. Your almost done. Click the Import button. 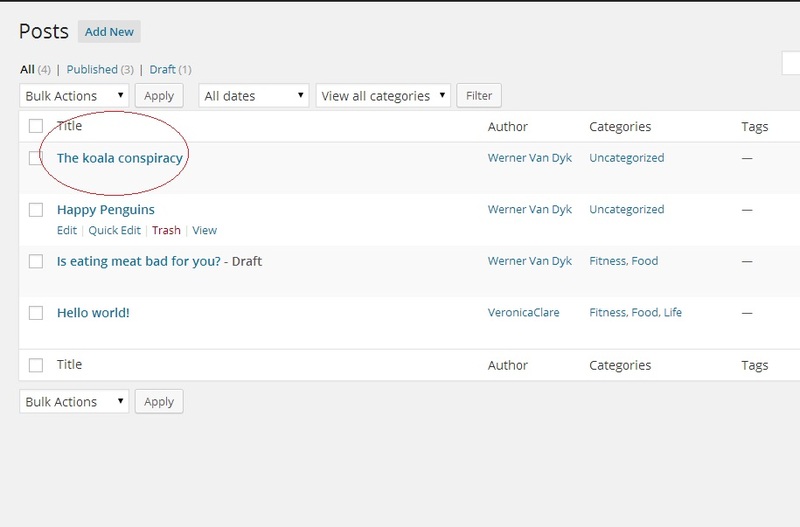 Select the Author (if you have multiple Authors) and click save changes. Well done you have just imported your blogger posts. Click on the ” review posts” option to see your imported posts. Here you can see my imported post from my blogspot.com blog. Lets change our Permalinks to match that as close as possible. Set your Permalink structure to Month and name then save your settings. 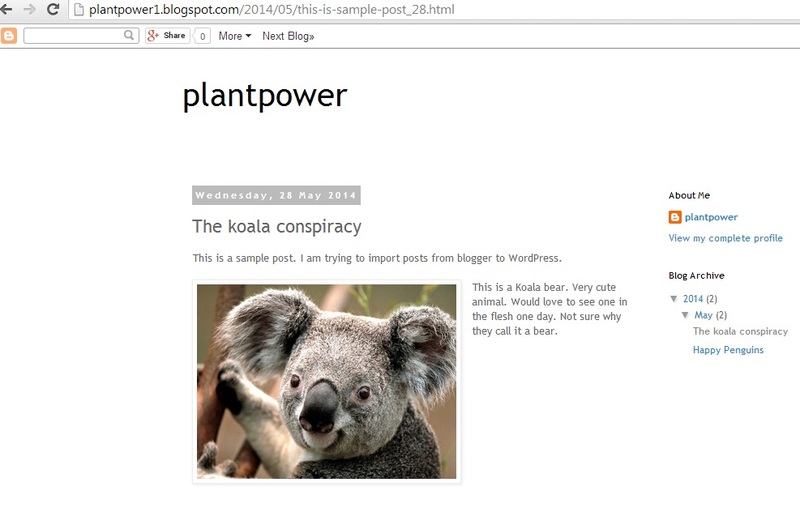 All your posts should now have a new link structure similar to the ones on your blogger site. 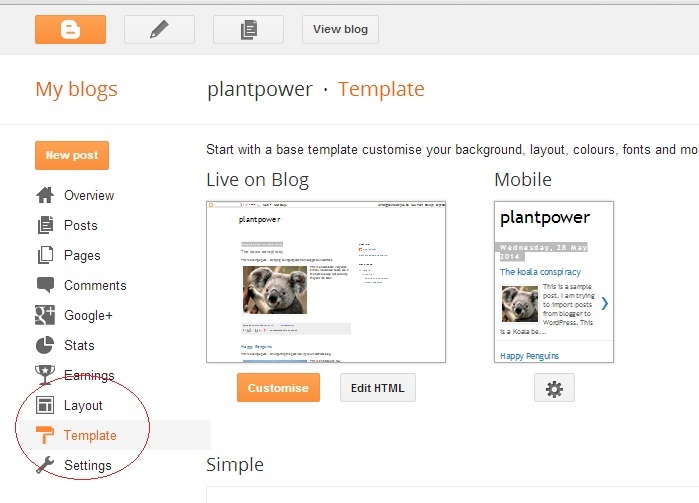 First navigate to your blogger account, log in and click on templates. Scroll down to the very bottom and click on the revert to classic template link. 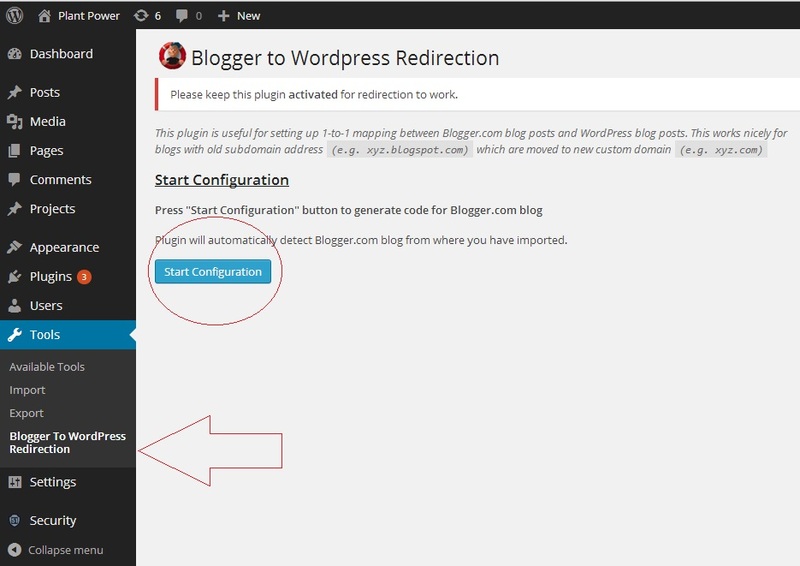 Head back to your WordPress blog and install the Blogger to WordPress Redirection plugin. To install the plugin navigate to Plugins. 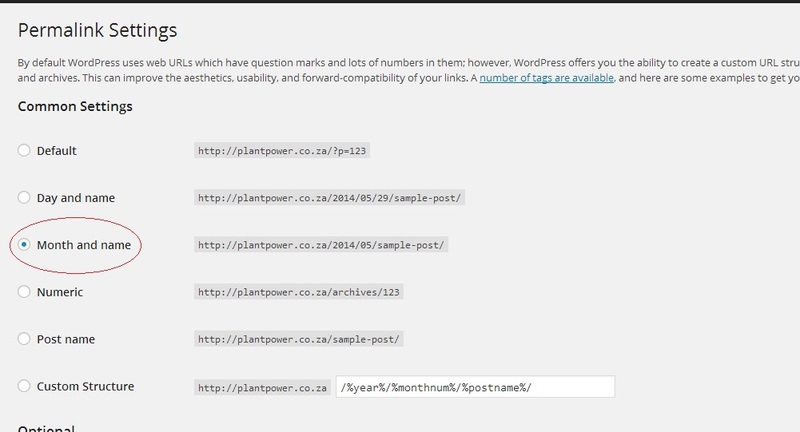 Click “Add New” in the search field, type “Blogger to WordPress redirection” and click the search plugins button. 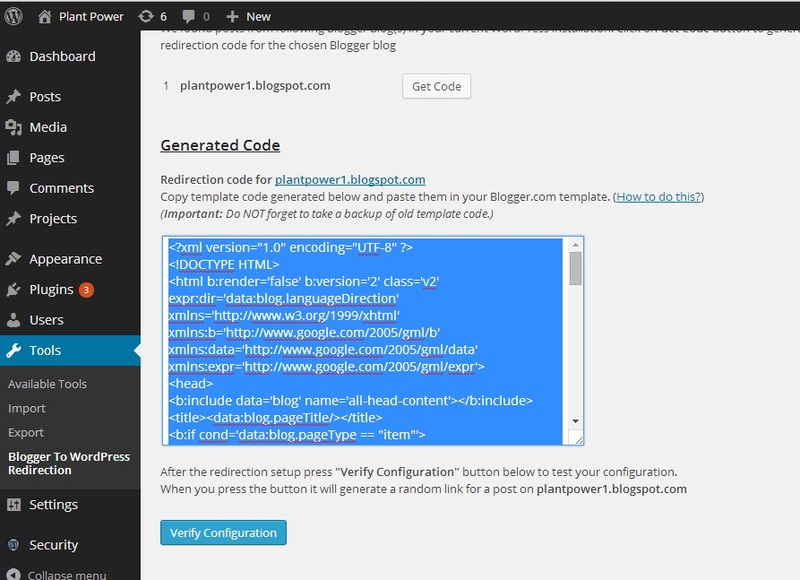 Click Install Now and activate the plugin like you did earlier with the blogger importer plugin. Copy the code. This code is what you will use to redirect your blogger posts to your WordPress posts. 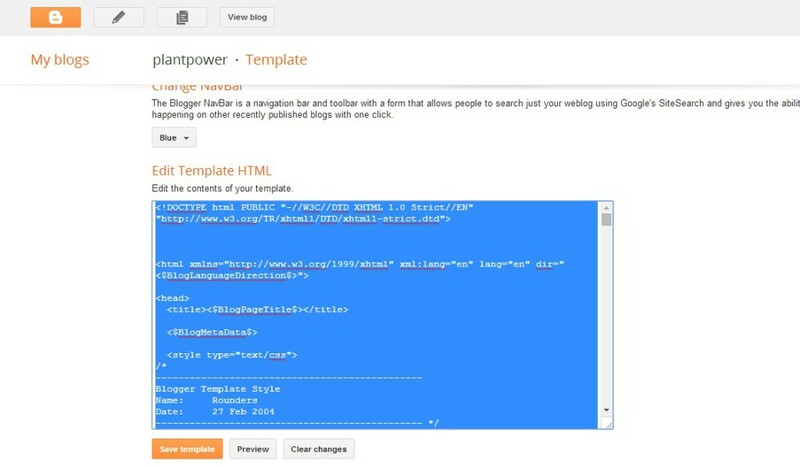 Head back to your blogger site (you’re almost done just a little more) and find your template editing area. This is the “revert to classic template” setting you enabled earlier. Select EVERYTHING! inside the text area and replace it with the new code. [ I suggest copying the old template into a simple text document first. That way you can always restore the blogger template if anything goes wrong.] Save the template and test to see if your redirects work. Congratulations! 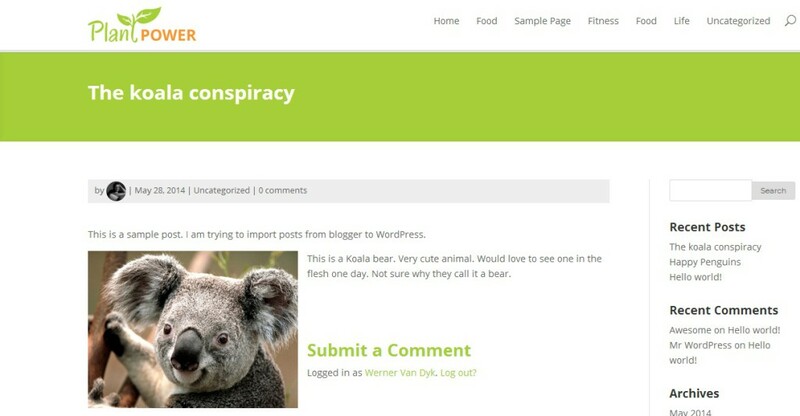 you just moved your blogger site and redirected any future visitors to your new WordPress blog. All thats left is to redirect your blogger feed. No real challenge here. To redirect your feed in blogger navigate to settings -> other. 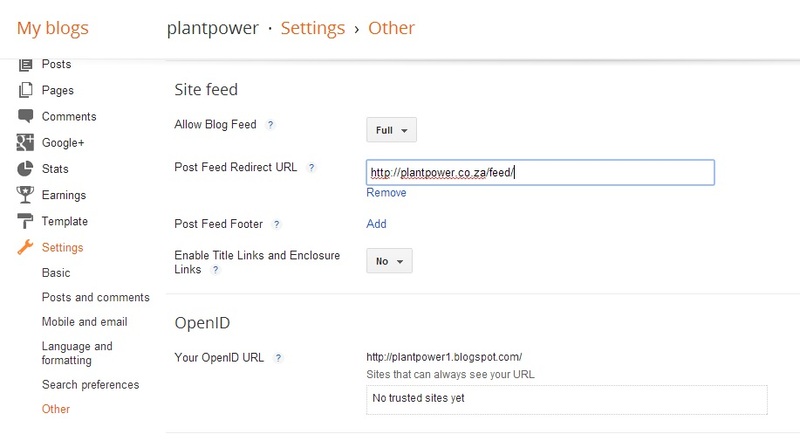 Simply type in your WordPress feed URL into the Redirect URL field and save your settings. You are done. I hope this post helps you understand what’s involved if you decide to move your blog. WordPress is highly customizable and with an every growing community of designers that embrace it, support is just a tweet or a comment away. Oh! I almost forgot. Now that you are on, or at least thinking about a self hosted WordPress site I can show you how to get search engines to index your blog super fast.